Idle No More: Japan Plans To Restart Closed Nuclear Reactors : Parallels A new energy plan reverses an earlier decision to phase out nuclear power after the Fukushima disaster. 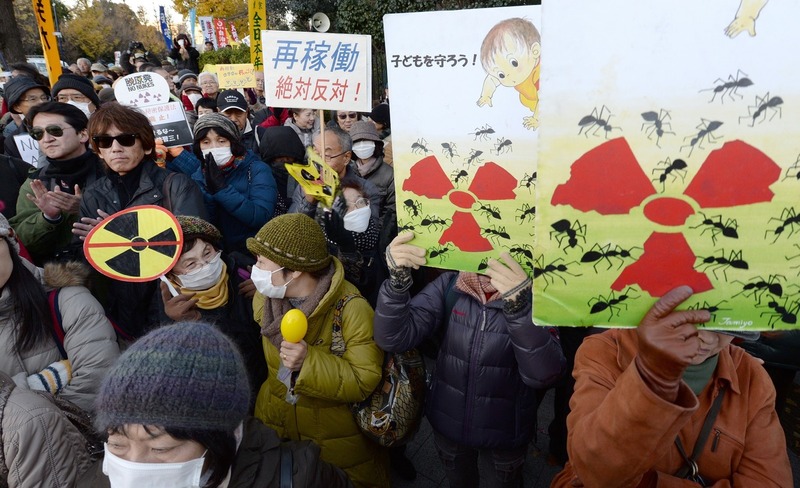 The public is largely opposed to nuclear power, but Japan says it's necessary to meet demand. Japan's draft of a new energy proposal calls for opening nuclear power plants that were shut down after the nuclear disaster in 2011. In the wake of the nuclear disaster at the Fukushima nuclear plant three years ago, Japan's government decided to phase out nuclear power. Other governments, notably Germany's, followed Japan's lead. But Wednesday, Tokyo reversed course. It issued a draft energy plan that includes restarting idled nuclear reactors. Now, the energy issue looms large over Japan's efforts to stage a comeback from two decades of economic stagnation. The Basic Energy Plan sends very mixed signals. It says Japan will reduce its dependence on nuclear energy as much as possible. It also says nuclear will remain a key source of electricity. It doesn't offer any timetables, or specify the proportion of fossil fuels, renewables and nuclear in Japan's energy mix. Toshikazu Okuya — an official in the Ministry of Economy, Trade and Industry, which issued the plan — says Japan is facing a dire energy crisis. Polls show a majority of Japanese oppose nuclear power, but the government says it needs the energy to meet demand. "Our dependence on imported oil is now higher than during the oil shock of 1973," he says in an interview at his ministry's office. "We cannot say we're enjoying a stable energy supply now. The increased cost of importing fuels has had a big, negative impact on our balance of trade. That's the reality we face." Okuya says that Japan now relies on imported fossil fuels for 88 percent of its energy needs, compared to 76 percent in 1973. Since the nuclear plants were shut down in response to the 2011 meltdowns, domestic electricity bills have gone up 20 percent. The burning of fossil fuels also has hampered Japan's efforts to reduce carbon emissions. "As our prime minister has said, a responsible energy policy should be one that creates a stable economy and livelihoods for our people," Okuya adds. "We cannot irresponsibly say that we no longer need nuclear energy." Okuya says the government will speed up its adoption of renewable energy sources, and use new technologies to better calculate Japan's energy needs. But Masaru Kaneko, an economist at Keio University in Tokyo, argues that the government is exaggerating those needs in order to justify restarting the nuclear reactors. The plan calls for Japan's nuclear reactors to be restarted once they meet new, tougher safety standards. Kaneko says that instead of pumping up the energy supply, Japan should focus on tamping down the demand. "The government wants to restart the nuclear reactors because they think they can generate enough electricity to cover the demand," he says. "So when they push that goal, the goal of saving energy fades into the background." Just because Japan gave us the Kyoto Protocol and the Prius doesn't mean it's the most energy-efficient country. Kaneko says there's still plenty of room for improvement. Opinion polls since the Fukushima disaster have shown clear support for a nuclear-free Japan. 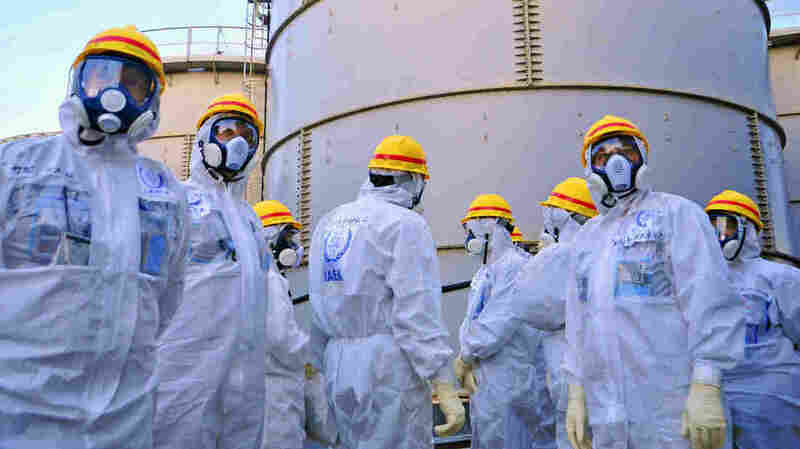 Some say Japan ought to phase the nuclear plants out gradually. And then there are folks like 26-year-old beautician Hiromi Matsuyama. "We already have so many places that are uninhabitable due to nuclear radiation," she says. "I just couldn't stand it if they restarted the reactors. I wish I could just leave this country." Japan's energy policy is likely to affect the outcome of "Abenomics," Prime Minister Shinzo Abe's strategy to revive the Japanese economy. His stimulus spending and monetary easing have helped to boost stock prices and exports. But wages and consumer demand remain flat. Kaneko, the economist, says Abenomics was supposed to include structural reforms. One place to start, he suggests, would be the vested interests represented by the alliance of power companies, Ministry of Economy, Trade and Industry bureaucrats, and ruling Liberal Democratic Party (or LDP) politicians. "Seventy percent of individual donations to the LDP come from electricity company executives," Kaneko says. "These power companies don't want to give up their regional monopolies, and they don't want to take responsibility for the Fukushima nuclear disaster." Kaneko adds that Abe's nationalist political agenda has distracted him from reforming Japan's energy sector, just when it needs it most.